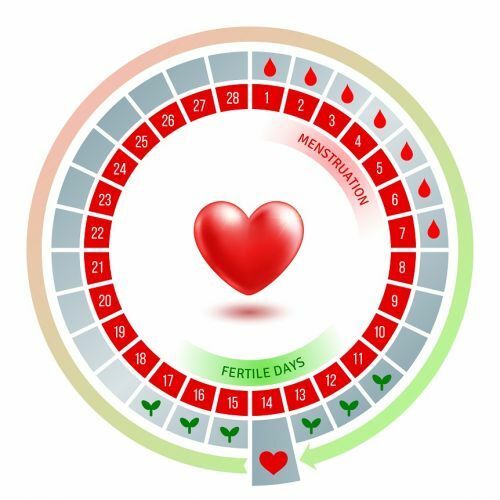 Home Pregnancy Are They Signs Your Period Is Coming or Pregnancy? Are They Signs Your Period Is Coming or Pregnancy? Each month, women everywhere experience their menstrual period. Unfortunately for some women, their menstrual cycle may be irregular. When your period does not come at a set time, it is hard to know if the symptoms that you are experiencing are part of pre-menstrual syndrome or a pregnancy. Each woman experiences different symptoms with her menstrual cycle, so it can be easy to confuse pregnancy-related symptoms with normal PMS. If you are confused, read on to find out more about the differences between these two events. How Do You Know the Signs Your Period Is Coming? While it may seem obvious to some people, the answer to this question can be difficult to figure out. Many of the same symptoms in early pregnancy are also a sign of pre-menstrual syndrome. Because of this, it can be hard to tell if you are pregnant or about to have your period. Remember that you should always take a pregnancy test if you think that you may be pregnant. Your hCG levels are highest in the morning, so try to test at this time of day. The following are a list of symptoms that could happen with a period or a pregnancy. Normally, breast tenderness happens about one to two weeks after conception. It will continue to occur as your levels of pregnancy hormones continue to increase. Meanwhile, breast tenderness in PMS should stop right after your period begins. Nausea and vomiting generally start about three weeks after conception, and rarely last for the whole pregnancy. Unfortunately, some women experience nausea for their entire pregnancy. If nausea is caused by PMS, it will stop once your period begins. Spotting or bleeding generally occur about two weeks after conception when the egg implants itself on the wall of the uterus. It will be extremely light and could be brown or pink in color. For PMS, there is no bleeding unless your period actually begins. Food cravings can occur during PMS, but they are less common and intense than during a pregnancy. Meanwhile, cramping will typically be acute for PMS for about one to two days before your period starts. It will normally stop once your period ends. Pregnancy cramping can occur for weeks as your uterus and stomach muscles stretch to make room for a growing fetus. If you are concerned about cramping during pregnancy, make sure to schedule an appointment with your doctor to check for any complications. Regular exercise is excellent at giving your mood a boost. It can reduce mood swings, depression and anxiety. Activities like biking, swimming or walking should be done for 30 minutes a day. A consistent exercise program can help you lower your weight and feel more confident about your body. Some women have reported relief from PMS symptoms and pain from acupuncture therapy. Reducing your stress levels can help to minimize symptoms. Try using yoga, deep-breathing exercises, and meditation to reduce stress. In addition, make sure to get plenty of sleep. You can limit bloating by reducing your salt and alcohol intake. Eat plenty of calcium and drink a lot of water. While reducing caffeine levels, you should also adopt a diet that is rich in fruits, vegetables, fiber and whole grains. Smaller meals eaten throughout the day can also help with bloating. Some supplements like Dong Quai and St. John’s Wort can help with menstrual complications and depression. Before taking any supplement, you should always check with your doctor first. If you experience severe cramps, a lower abdominal massage or a hot pad can help. Warm beverages and warm showers can also help. Some women also find that it helps their cramps to lay on their back with their legs raised up.